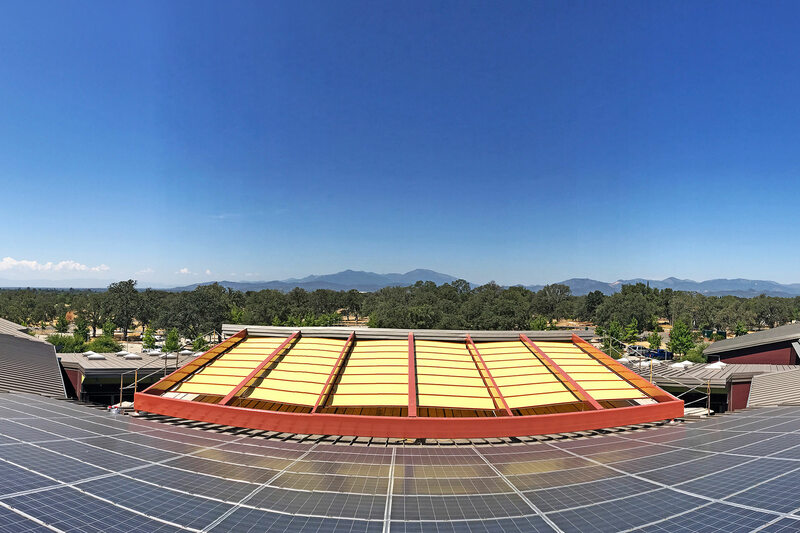 Nestled beside California’s Cascade foothills sits the town of Redding. Surrounded by mountains and fertile farmland, this southwestern town enjoys hot dry summers, sprinkled with the occasional thunderstorm, along with cool wet winters, and the odd chance of snow. Situated right in the middle of all this natural inspiration is the Redding School of Arts, ‘a place where education and the arts connect’. 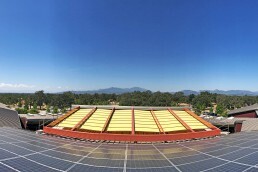 Completed in 2001, this state of the art facility is the first new campus in the world to be awarded the LEED Platinum Certificate. 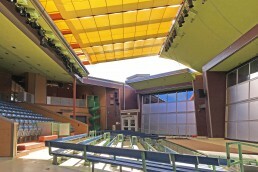 At the core of this institution for higher learning sits the school’s outdoor amphitheatre, a year-round space that welcomes the outside, indoors. To ensure the glory of this space stands the test of time, ShadeFX was enlisted to provide a shade solution that ensured maximum comfort while maintaining the integrity and style of the project. 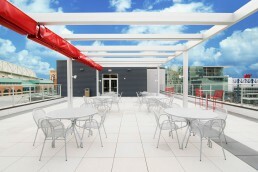 The open roof stretches approximately 1,100 square feet over top the main seating area. 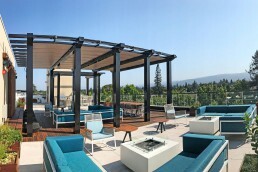 Using Redding’s surrounding natural world as its muse, Trilogy Architecture created a space that borrows traditional design while embracing innovative techniques and technologies. Bringing Trilogy’s imagination to life through their own strokes of brilliance was Gifford Construction. “Outdoor amphitheaters designed within a school can provide a great environment for kids, as long as the weather cooperates. Since we added a Shade FX retractable canopy over the existing outdoor amphitheater at the Redding School of the Arts this past summer, the reviews by parents, students and teachers have been overwhelmingly positive. 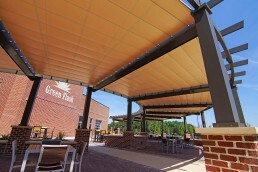 With a combination of efficient installation and trouble-free operation, this product has provided a cost-effective and attractive shade solution to what typically is a harsh year round sun. And the sustainability of an amphitheater that can be used all year without the energy costs of heating and cooling is significant. 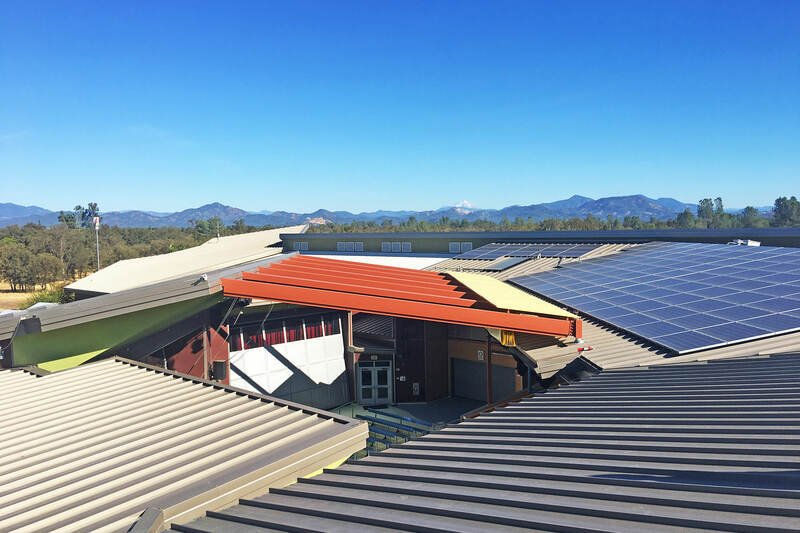 The end result is a living, breathing masterpiece that has become an integral aspect of the ‘teaching green’ curriculum emphasized at Redding. 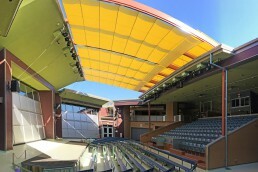 At the core of this institution for higher learning sits the schools outdoor amphitheatre, a year round space that welcomes the outside, indoors. ShadeFX was enlisted to provide a shade solution that ensured maximum comfort while maintaining the integrity and style of the project.